My dad died twice. Once when he was thirty-nine and again four years later, when he was twelve. On his twelfth birthday, Al Chaudhury receives a letter from his dead father. It directs him to the bunker of their old house, where Al finds a time machine (an ancient computer and a tin bucket). The letter also outlines a mission: travel back to 1984 and prevent the go-kart accident that will eventually take his father's life. 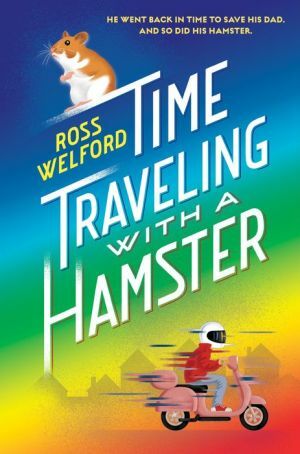 But as Al soon discovers, whizzing back thirty years requires not only imagination and courage, but also lying to your mom, stealing a moped, and setting your school on fire -- oh, and keeping your pet hamster safe. With a literary edge and tons of commerical appeal, this incredible debut has it all: heart, humor, vividly imagined characters, and a pitch-perfect voice.